Cajsa Isgren is an equine vet and a second year PhD student at the University's Institute of Infection and Global Health. Her project is looking at the emerging problem of antimicrobial resistance in hospitalised horses in the UK. "Antibiotic resistance is a global problem, which not only affects people, but also our much loved pets and horses. You may wonder how antibiotic resistance applies to you and your horse, especially if your four-legged friend is ‘fit as a fiddle’ and you have been fortunate enough not to call the vet out for anything apart from routine visits. Should your horse get ill in the future it is important to understand why your vet may, or may not prescribe antibiotics. As equine vets, when we are faced with a horse with a bacterial infection the ’gold standard’ is to treat that animal with an appropriate antibiotic based on growing the bacteria in the lab and testing which antibiotics are able to kill it. Sound easy doesn’t it? The problem is time - as this testing takes at least 48 hours then in the mean time we have to make an appropriate choice of antibiotic based on the type of bacteria we think likely to be causing the infection. Previous research has identified that, just like in people, horses may carry certain types of resistant E. coli bacteria in their faeces when they are in the hospital. Whilst they are in the gut of the horse, they are unlikely to cause any harm and the horse is likely to stop shedding these bacteria a few weeks after they have left the hospital or stopped receiving antibiotics, which may also make them carry such bacteria for longer. You may wonder why this is of any interest if it does not cause any harm. The resistant E. coli may act as a potential source of infection should the horse have a wound or an incision, or become more susceptible from another type of infection if they are poorly. There is also a risk of these resistance genes in these E. coli jumping to other types of bacteria hence we are interested in ways to reduce this. My PhD study aims to identify different factors that make the horse more likely to carry these resistant bacteria, such as antibiotic use, and how they are managed in hospitals. 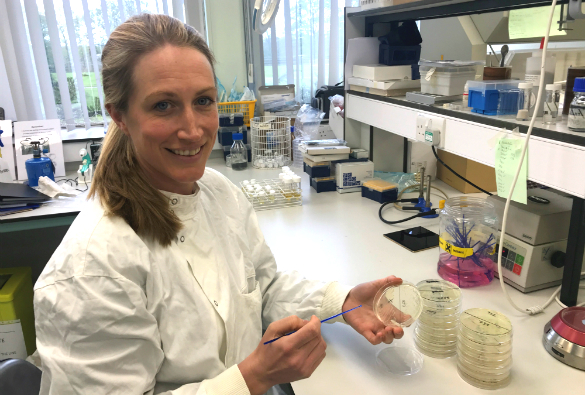 This work will enable us to identify those horses which are more likely to carry these bacteria and then we can look at what changes we can implement to stop them carrying such resistant bacteria and preserve antibiotics for future use in horses."